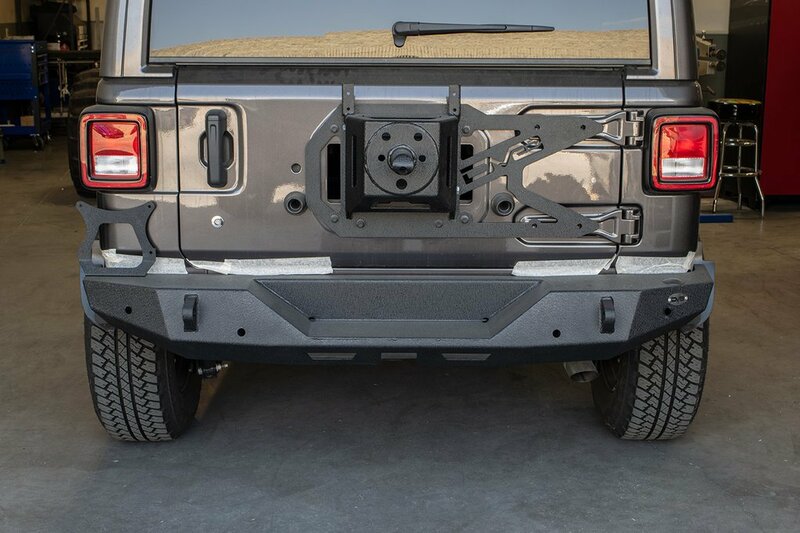 If you are in the market for a beefier looking rear bumper for your Wrangler JL that also helps out in the clearance department DV8 has you covered! 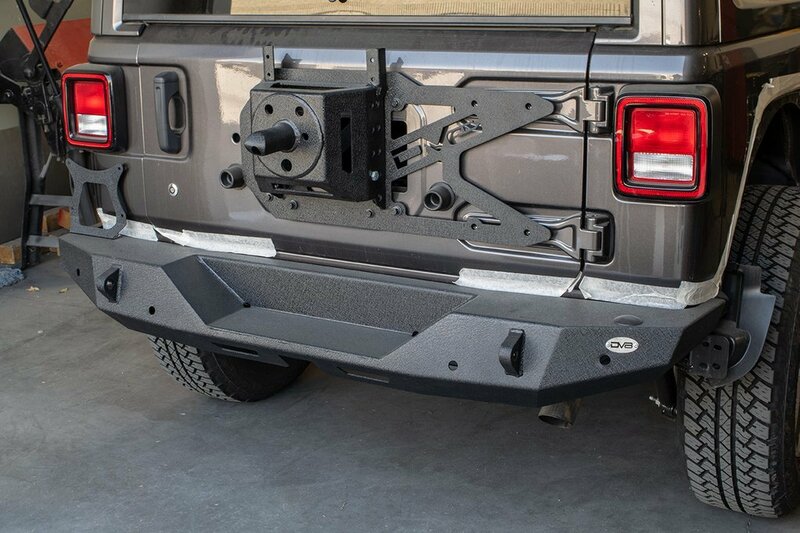 This High Clearance Rear Bumper gives you the angles you need to come off of rock ledges easier plus has two shackle recovery points and comes with a license plate relocation bracket. Manufactured from steel for added protection then textured black powder coated to prevent corrosion. Aggressive Design: The high angle design on this bumper are not just to give your Jeep a rugged look but the also serve a purpose as well. From making it easier to come off of ledges to traversing the more difficult trails you will have peace of mind that you have a quality off-road bumper. Features: A relocation bracket with a light for your license plate so you do not have to worry about where to put it along with two shackle point to add more recovery options. Another great feature is the ability to accommodate back up sensors. Installation: A simple bolt on installation that does not require cutting or drilling so you can get it on your JL then test it out on the trails. This was put on a 2018 JLUR with the stock plastic bumpers. Bumper looks great, was easy to install (nuts and bolts wise) and also is compatible with the back up sensors (sort of). However, once I put a 35 inch spare tire on the back I couldn't shut the gate. The wider tire was bumping the indented vertical edge of the bumper. I had to loosen the spare tire bolts, close the gate then tighten them back down. I assume I'll have to find a spacer to push the spare tire out more. Last issue I had was with the back up sensors. The stock wiring connecting the two inner sensors couldn't span the inner two sensor holes on the bumper. I assume I can unwrap the factory tape and get the extra couple inches I need to make the connection.